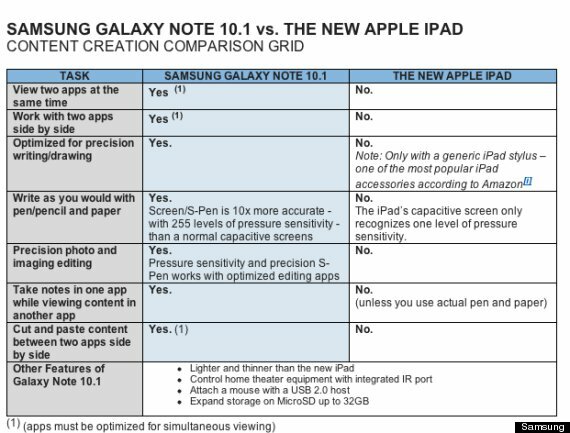 Samsung think they have it nailed already against The new iPad according to their latest press release. The Galaxy Note ‘phablet’ (phone and tablet) seems to outshine the iPad.. Here, look for yourselves. So no mention of the better screen, faster processor, eco system etc etc, but it’s ok because everything is better with a stylus….right? Next Next post: The New iPad shipping early to customers?